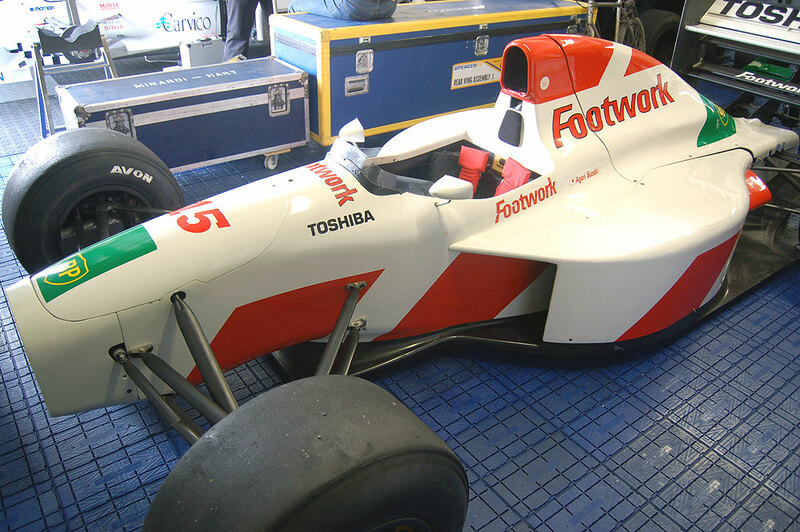 After a disastrous 1991 season and the failure of Porsche partnership, Footwork team (ex Arrows) eventually had a decent year in 1992 with the Mugen engine. 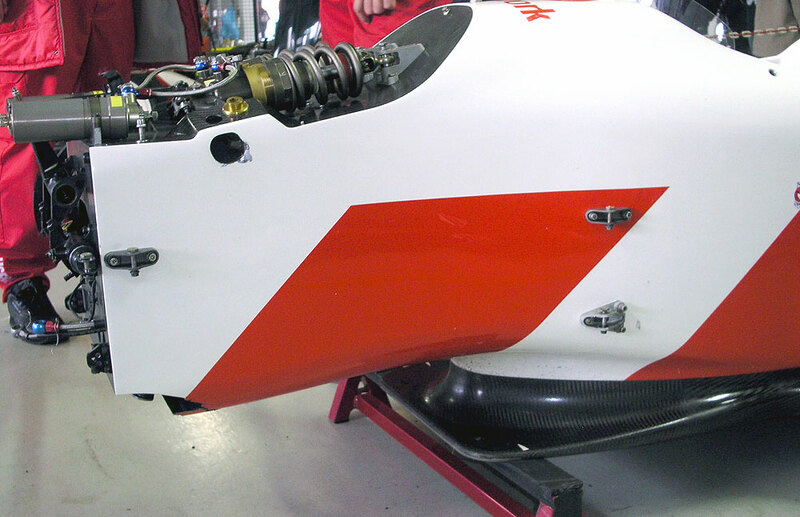 M.Alboreto scored 6 points and the team ended at the seventh position in world championship. 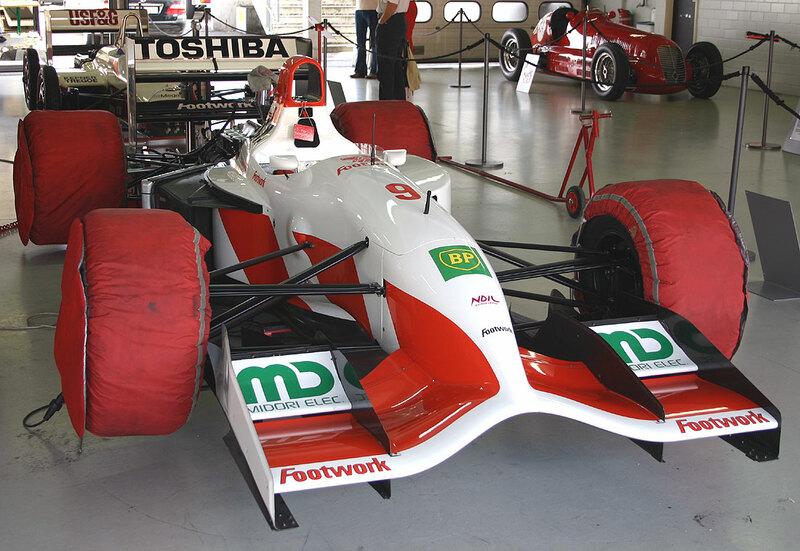 Under the direction of A.Jenkins, the FA13 was based on FA12 monocoque with aerodynamic improvements, thanks to the modern in-house wind tunnel and an easier engine to package with the switch from Porsche V12 to Mugen V10. 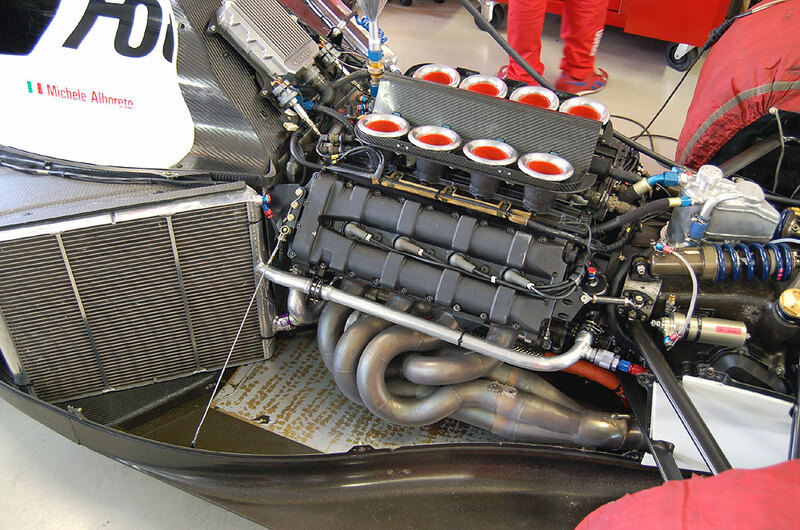 With the longer and heavier german engine the FA12 had a bad weight distribution and was overweight. 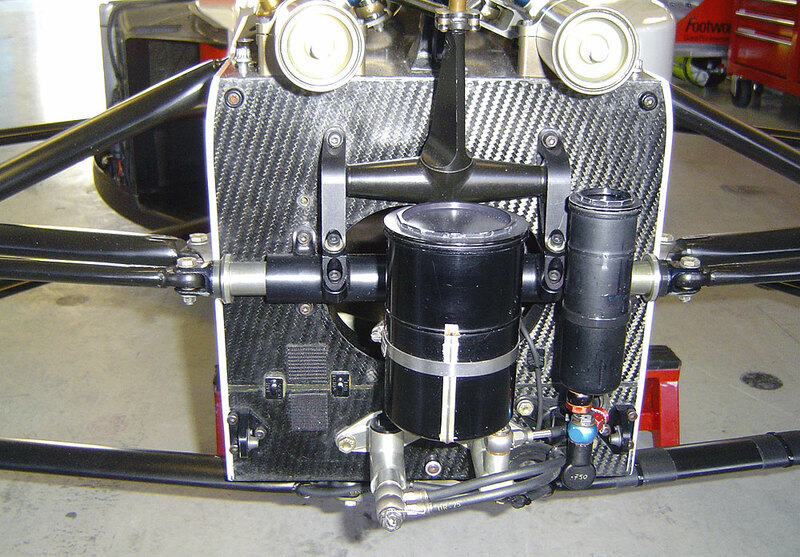 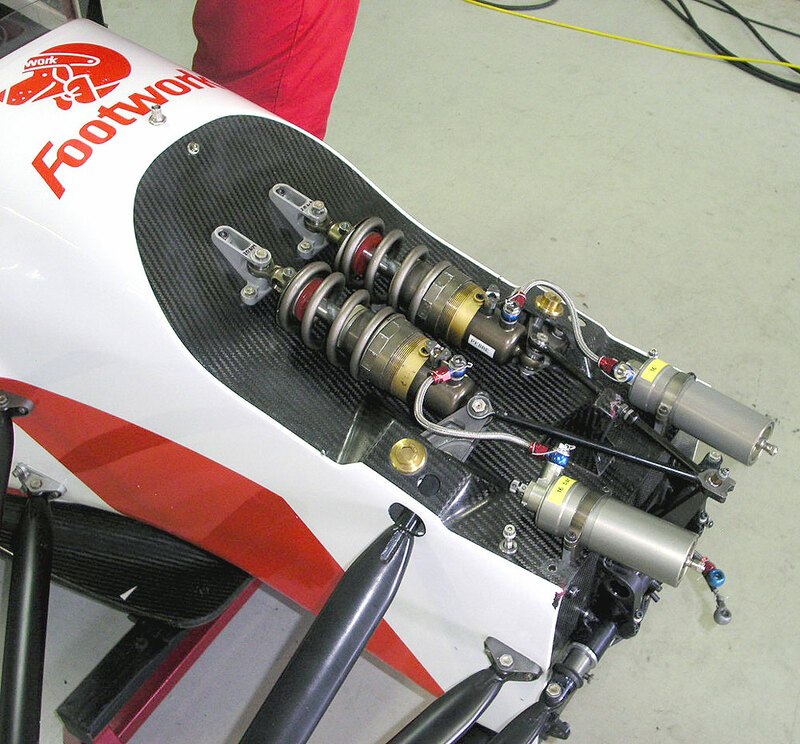 The Mugen V10, now a customer engine, could no longer comptete with the best factory engines in terms of power and packaging. 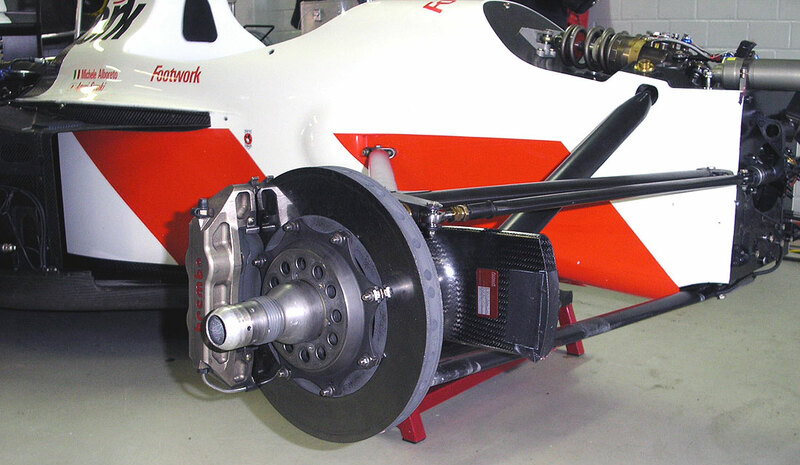 Because of its old design, 1988, weight was about 150 Kgs, compare to the 135 Kgs of the Ford HB or the 140 Kgs for the Renault but it was still lighter than the Porsche and its 180 Kgs. 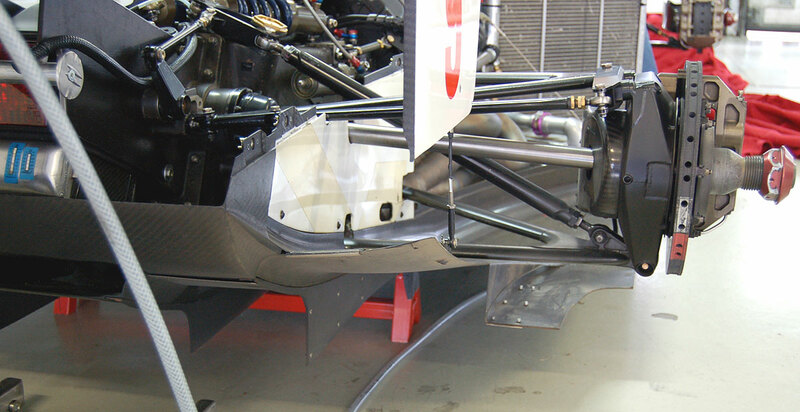 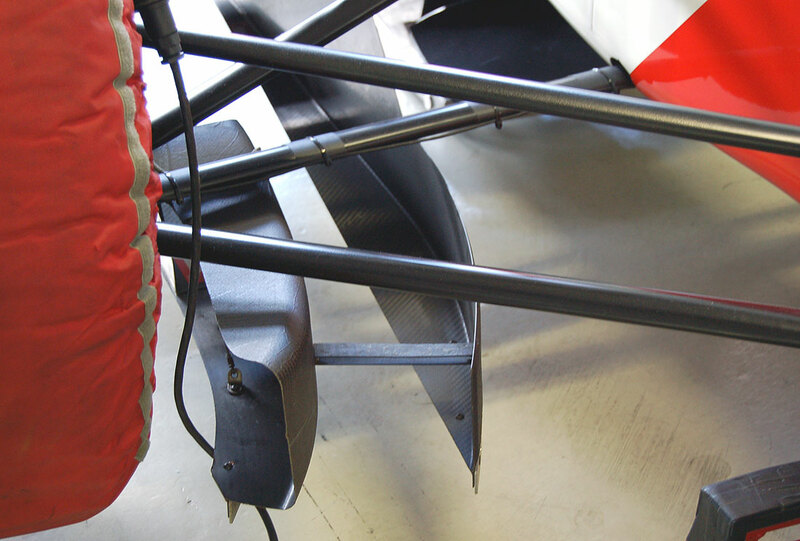 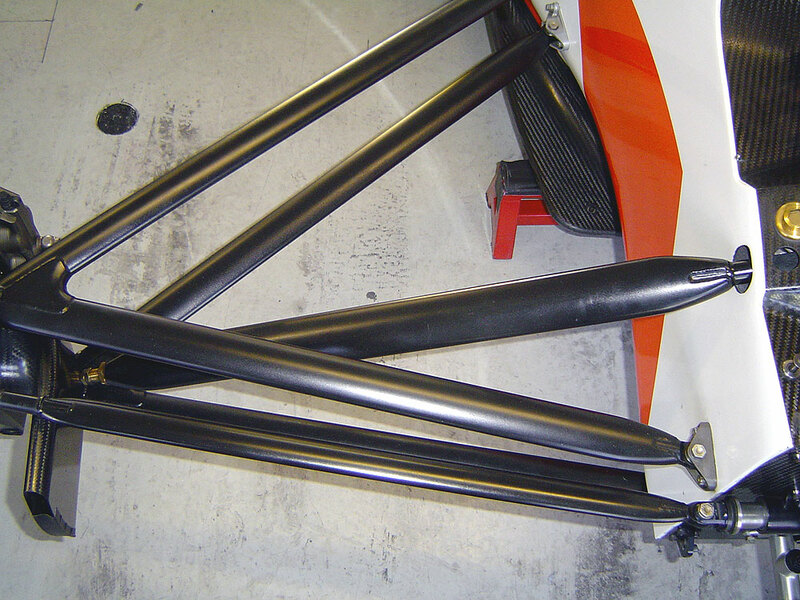 On the aerodynamic side, the most intricate feature remains the dihedral front wing (the pillar on the FA12 wasn't stiff enough) with twin long endplates. 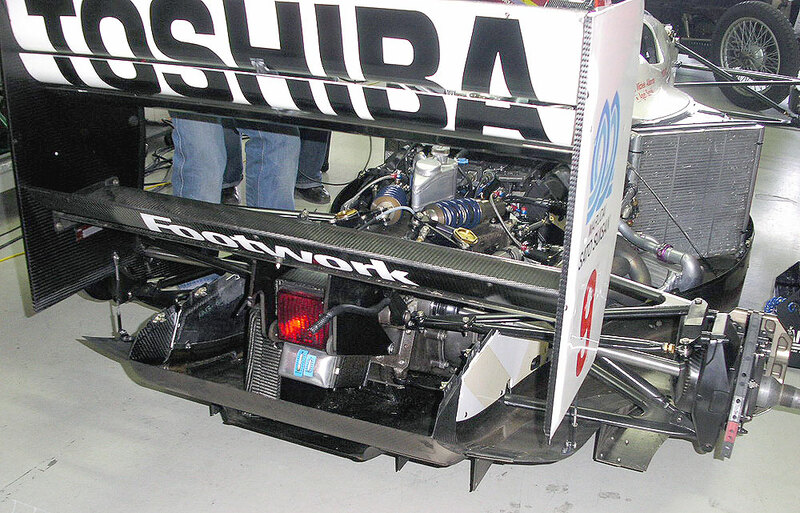 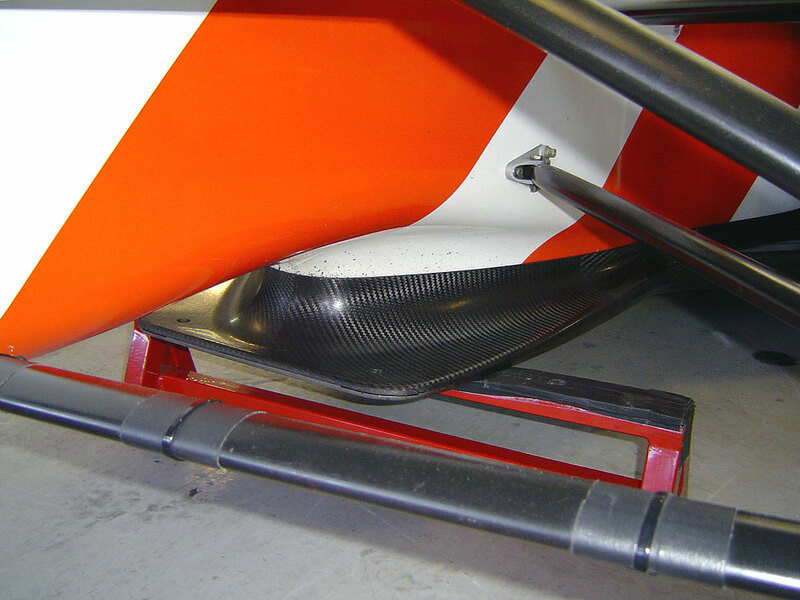 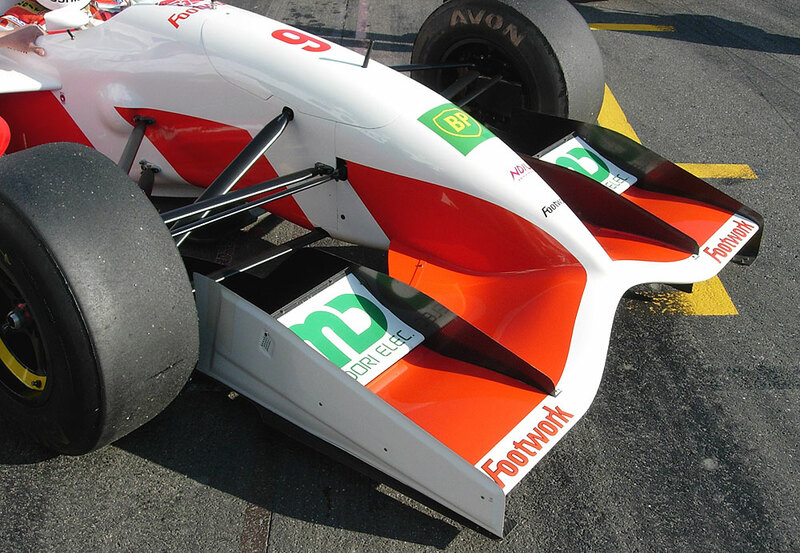 It worked well with new diffuser profiles at the rear. 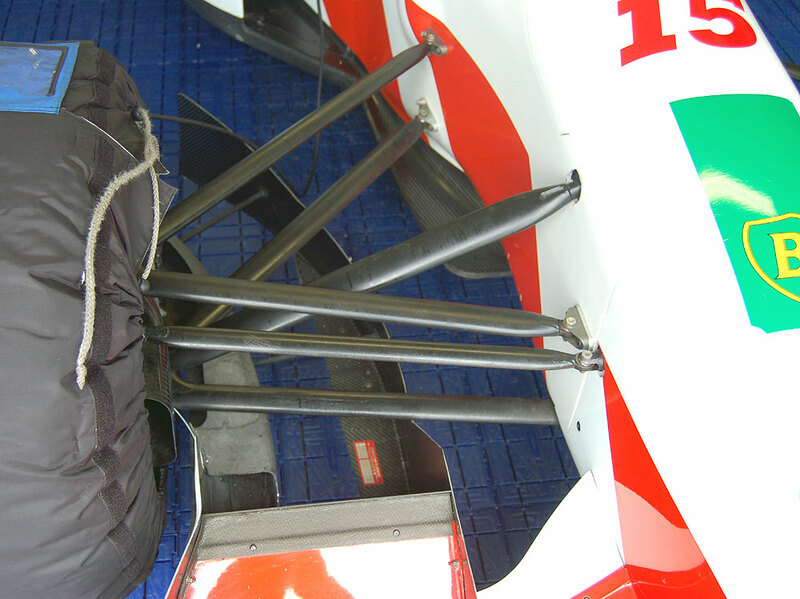 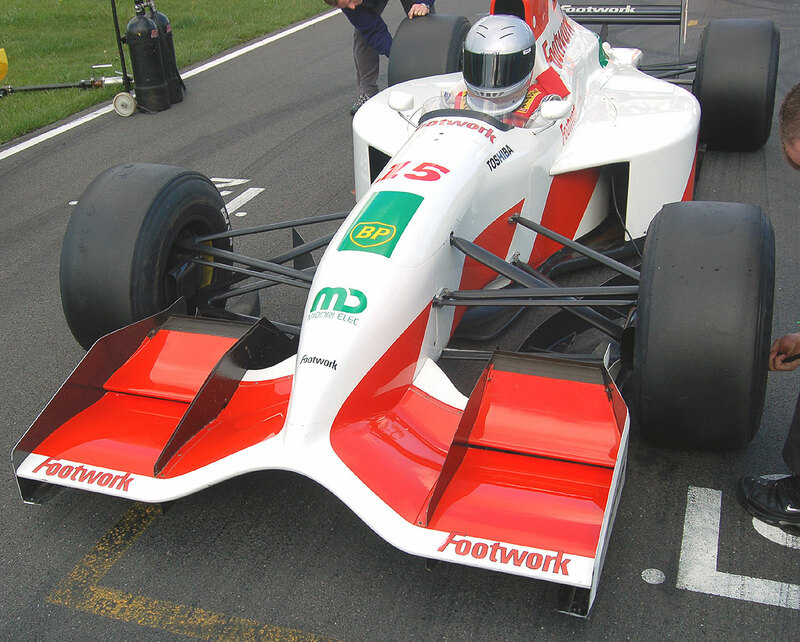 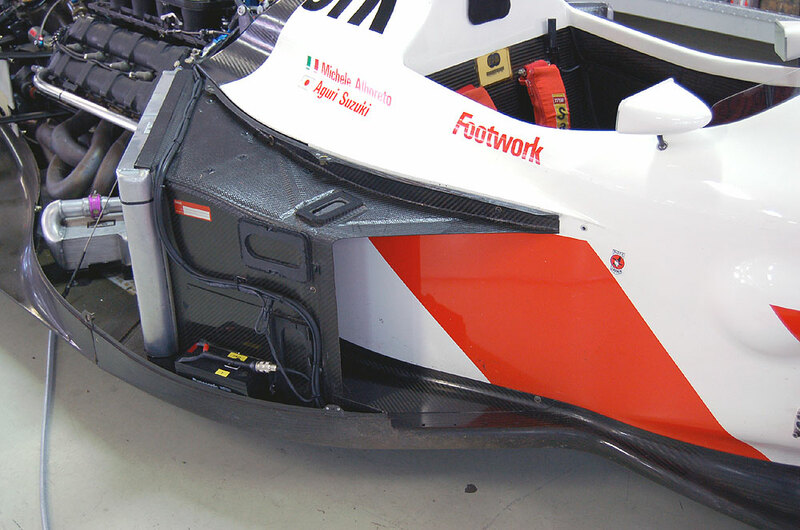 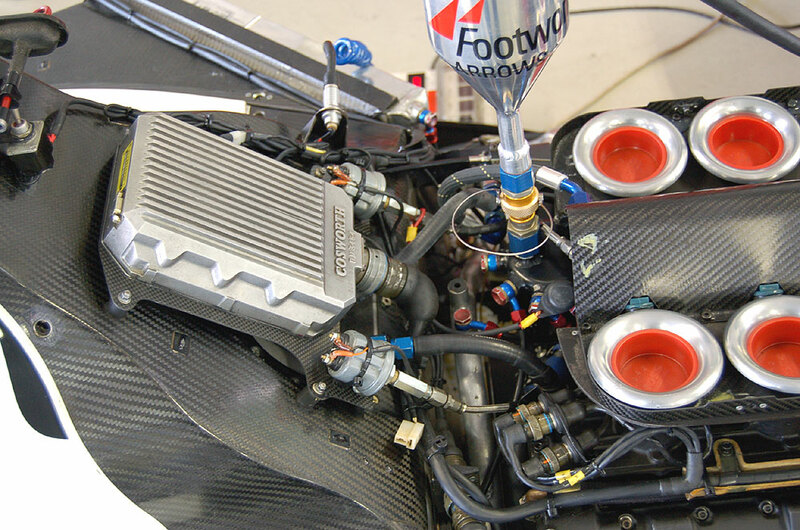 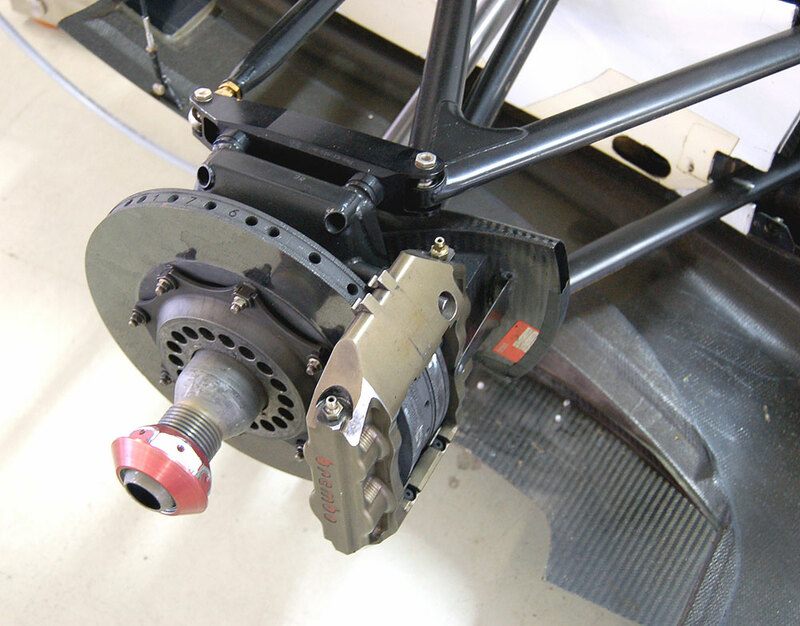 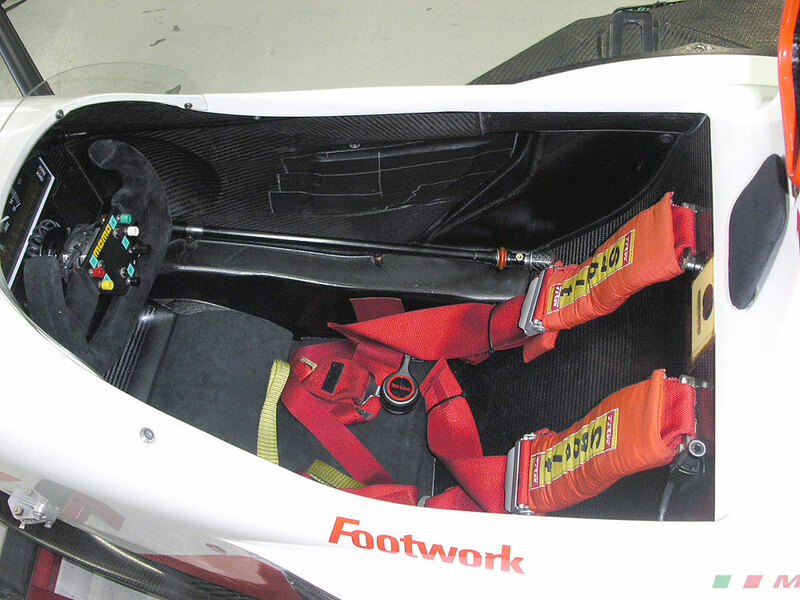 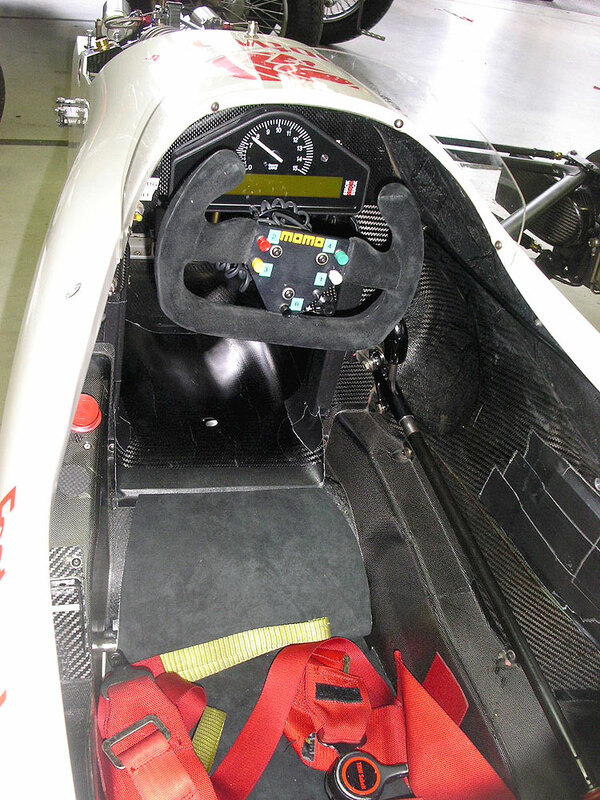 Overall, the Footwork FA13 was a mid runner with very good reliability (M.Alboreto being the driver who covered most kilometres in races during the year), maybe a too conservative design as it was still overweight but he team had to recover after the 1991 disaster. 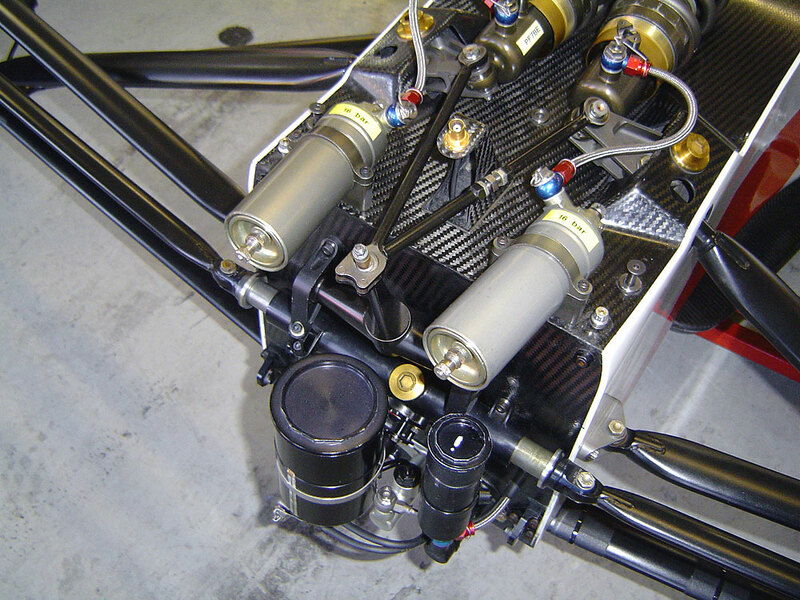 The car in photos is racing in Euroboss serie, it is fitted with the Hart V8 based on the Ford V8 DFR, the same engine that the team ran on the FA12.